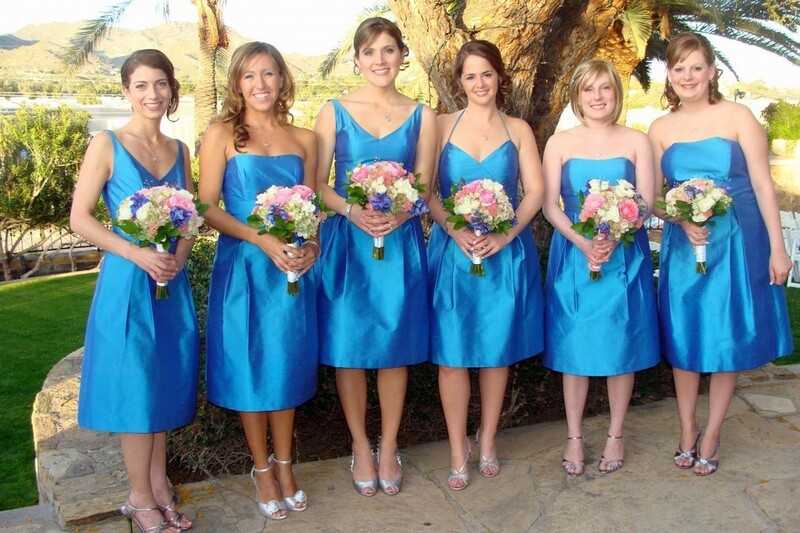 Bridesmaid dresses with pockets are definitely in. Having a place where bridesmaids can carry their lip gloss, IDs, toasting notes and the wedding rings will make it a real hit with the friends you've asked to share the day with you. Also, give real thought to allowing your friends to choose a dress that they truly feel comfortable in. Give them a color to choose from but then let them pick the style looks best on them. What is flattering on one of your friends often doesn't work for the others. Why not keep everyone happy?